Ever wonder why New York is called the “Big Apple” or why some countries drive on the right and some on the left? Well, wonder no more. 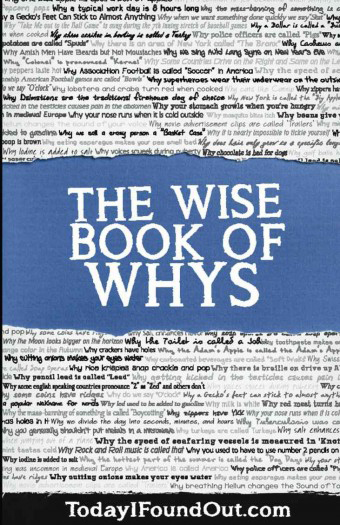 100 fascinating questions are answered in detail in our new book The Wise Book of Whys, along with some interesting Bonus Facts related to each topic to fully satisfy even the most learned of trivia buffs. Audiobook, read by the extremely talented British voice artist Simon Whistler. This book is great. I have wondered so many things and now I know! I usually prefer print books to audio, but Simon Whistler is indeed a talented fellow, so, I am ordering the audiobook.